Katie and Eric are simply adorable. They took time to plan out the session which I love and makes for great photo opportunities. On top of being prepared, they were comfortable with each other and obviously in love as you will soon see! 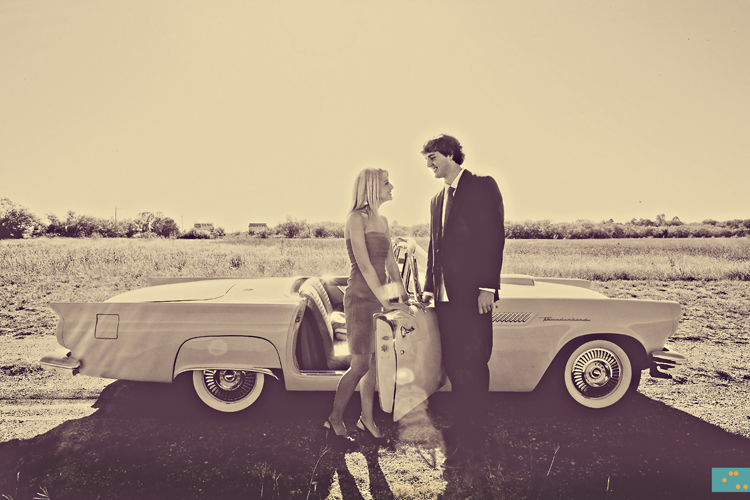 :) We started out with this awesome 57' baby blue T-bird convertible. Loved it. Enough talk, here are my favorites. 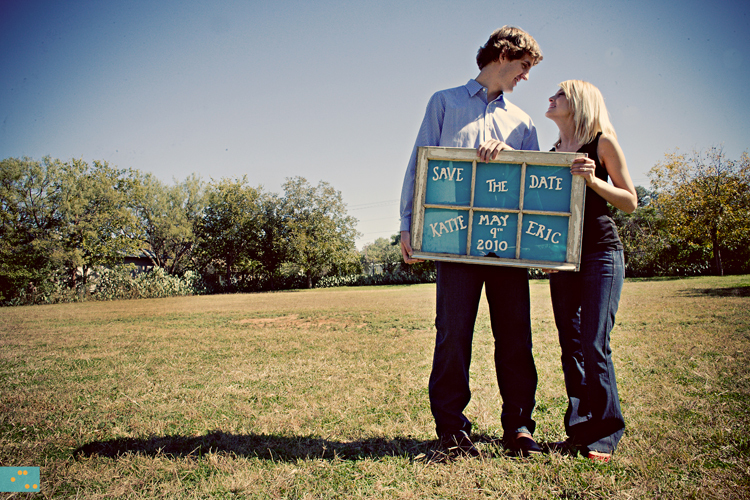 Below: I thought this save the date idea was very cute! May 9th..can't wait! I love the below pictures. I love how Eric loves her. Again, adorable! Ya'll are awesome!